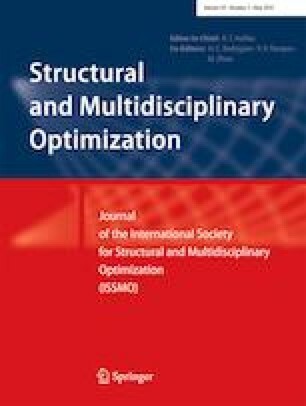 A cluster-based non-dominated sorting genetic algorithm (NSGA) II has been considered to investigate the effects of rehabilitation objectives on multi-objective design optimization of two-dimensional (2D) steel X-braced frames in the presence of soil-structure interaction. The substructure elasto-perfect plastic model has been adopted for modeling of the soil-structure interaction and the nonlinear pushover analysis is used to evaluate the performance level of the frames for a specified hazard level. Cross-sections of grouped elements of the frames are considered to be discontinuous design variables of the problem. Via implementing some of the constraints, which are independent of doing the time-consuming nonlinear analysis, input population of the optimization technique has been clustered. By using the nonlinear analysis technique in conjunction with the cluster-based NSGA II, near optimal trade-off relation between minimum weight and maximum story drifts of the frames are obtained. The allowable rotations, geometry, and resistance constraints of the structural elements are considered in the optimization design of the frames. The effects of the enhanced basic safety and limited selective rehabilitation objectives on optimum design of the frame are studied. The results show differences between the optimum results of the three mentioned rehabilitation objectives and effects of soil types. Nonlinear static analysis method can be used to check the performance level of a structure (FEMA 356 2000). In this analysis, the lateral load gradually increases and displacement of a certain or control point of the structure exceeds to reach a target displacement. By increasing the lateral load, the deformations and internal forces of the structural elements are continuously checked. The control point of the structure should properly represent the actual structural changes. In this paper, the center of mass of the roof is selected as the control point. The target displacement of a rigid diaphragm of a structural system can be determined via employing the presented coefficient method given in FEMA 356 (2000). In this method, first, a nonlinear static analysis must be performed to obtain the pushover curve. Considering this curve, target displacement of the structure can be computed as follows. 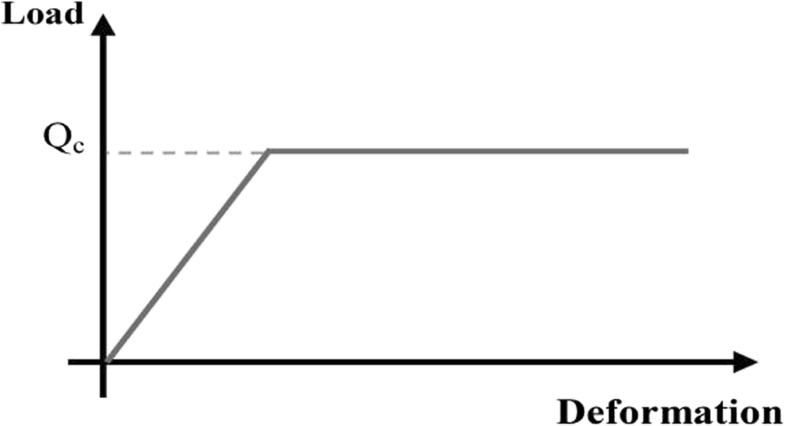 where δt is the target displacement; C0, C1, C2, and C3 are the modification factors provided by FEMA 356 (2000); Sa is the response spectrum acceleration at effective fundamental period; Te and Ti are the effective and elastic fundamental periods, respectively; ke and ki are the effective and elastic lateral stiffness of the building, and g is the gravity acceleration. The response spectrum acceleration can be considered using the following relations. The recommended values of Fv, Fa, S1, and Ss for three different hazard levels are considered same as those of the Gholizadeh and Poorhoseini (2016) which are tabulated in Table 9. Also, to investigate the simultaneous effect of gravity and earthquake loads in the nonlinear static analysis, the following upper and lower gravity loads combinations should be chosen. where QD and QL are the dead and live loads, respectively. The lateral load distribution is considered to be proportional to the mass of stories, and is assumed constant through the analysis and design process of the X-braced steel frames as follows. where Fi is the lateral applied force on the ith story; Wi is the effective seismic weight of ith story; hi is the height of the ith story from the base; V is the base shear; and k can be obtained from the following equation. A series of Winkler springs are recommended to implement soil-structure interaction model for analysis of structures by refs. (FEMA 356 2000; ASCE 41-17 2017). The characteristics of the springs should be as follows. 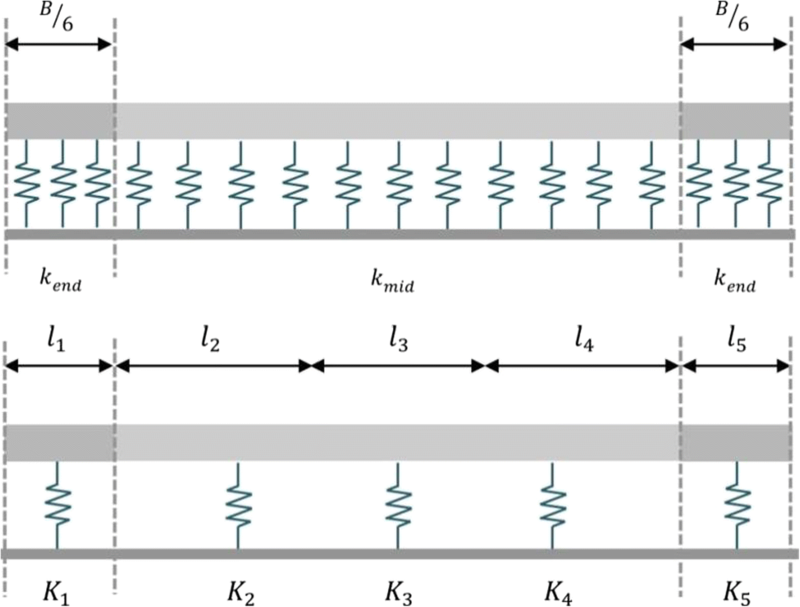 The characteristics of these springs are obtained in a static state and are discarded from their dependence in the vibrational frequency, which is an appropriate approximation in the usual frequency domain. Nonlinear elasto-plastic behavior of soil has been used in the analyses, Fig. 18.
where Qc is equal to the vertical load bearing capacity of the soil and can be obtained from the following equation. where qa is the load capacity of the soil. where G, υ, li, and Ki are the shear modulus, the Poisson’s ratio, effective length, and the stiffness of the foundation, respectively. The movement of the foundation in the horizontal direction is assumed to be tight. The tensile strength of the soil has been completely ignored.